Petrol Station owners and operators must be always alert with the perfect Automatic Nozzle operation due to the need of periodic maintenance or replacement. For this reason, Zeppini Ecoflex has focused on developing a line of equipment for the supply unit with options that offer high performance and at the same time low maintenance need. One of the main highlights is the ZP-3000 Automatic Nozzle that has a swivel and reduced number of internal components, which reduces the need of its maintenance or replacement. 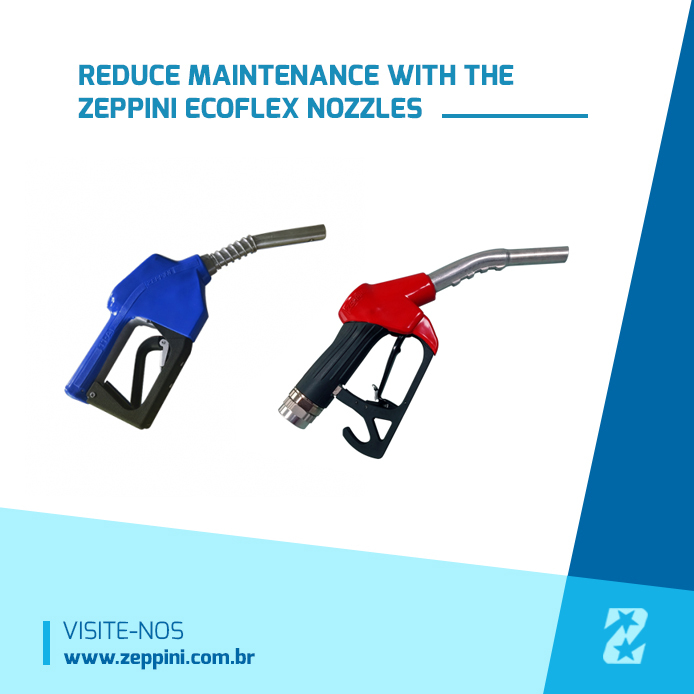 In addition to Automatic Nozzle, the Zeppini Ecoflex dispenser accessories line also counts with Dispenser Hose, Fuel View Device, Hose Holders, among others.